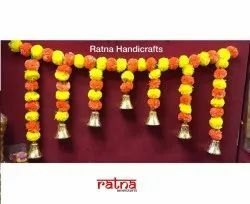 Pioneers in the industry, we offer artificial marigold flower garlands, artificial marigold flower decoration toran and artificial-marigold-red from India. 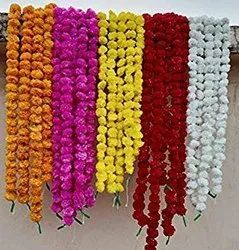 Artificial Marigold flower decoration garlands made of plastic in beautiful colours which can be used for decoration at all times all places all events. It is easily reusable. They are highly fluffy and gives the look of original marigold. 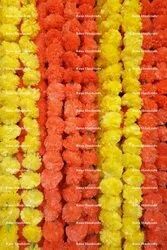 Multicolor Original Look Plastic Marigold Garlands for anytime decoration. We offer a wide range of colors. Custom size are also possible on order. 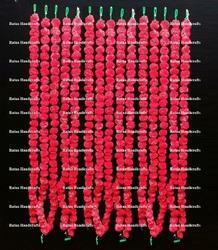 We offer an exclusive mulitcolor decoration toran with high quality marigold flowers. The piece can be used for home decor, gate piece, events, temples, etc for the purpose of decoration at all times. The colors are customizable depending on the demand and order.